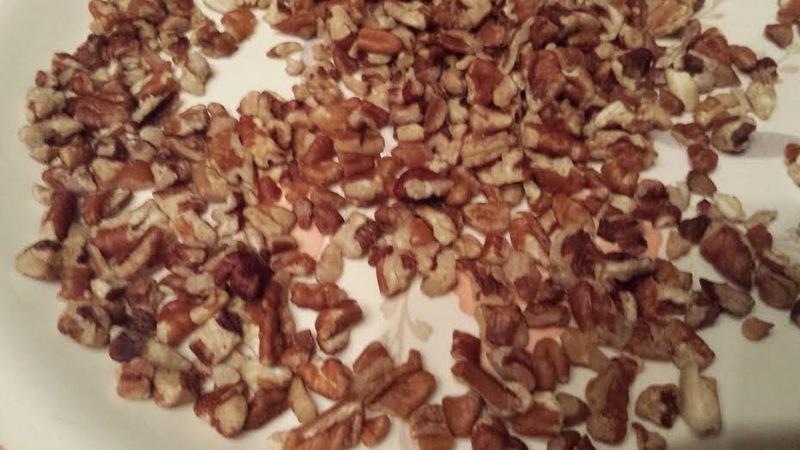 Tis the season to make a cheese ball falalalala - lalalala!!! 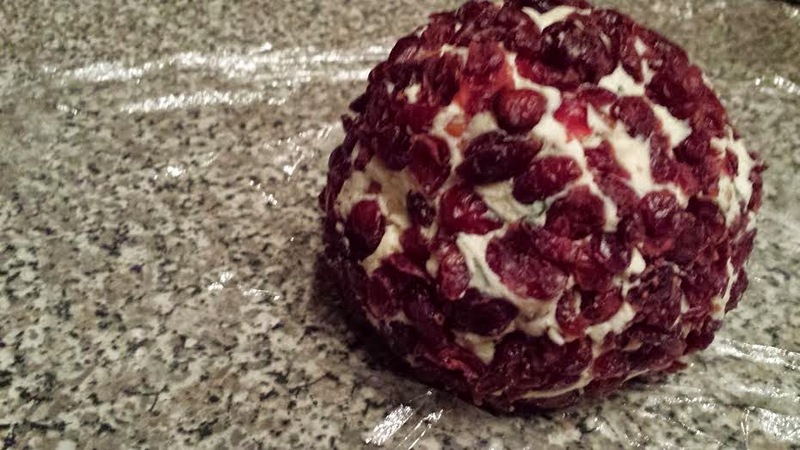 This holiday cheese ball is just a beautiful deep red and white, very festive for the season. I will be making this for my family for our Christmas celebration, I'm sure it will be gone in seconds flat! This year we are doing a traditional holiday meal, I will be hosting. I will be providing the main dish, one side and the appetizer. Everyone pitches in and brings a side dish and BYOB! 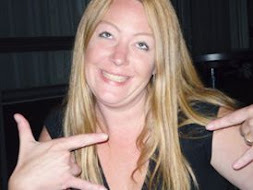 A couple of Christmas's ago we had an appetizer Christmas, that was pretty fun! Ok so back to this cheese ball, it's very popular over on Pinterest so I know it's going to be good! Mix together the softened cream cheese, shredded white cheddar cheese, I used a good block of white cheddar that I shredded by hand. 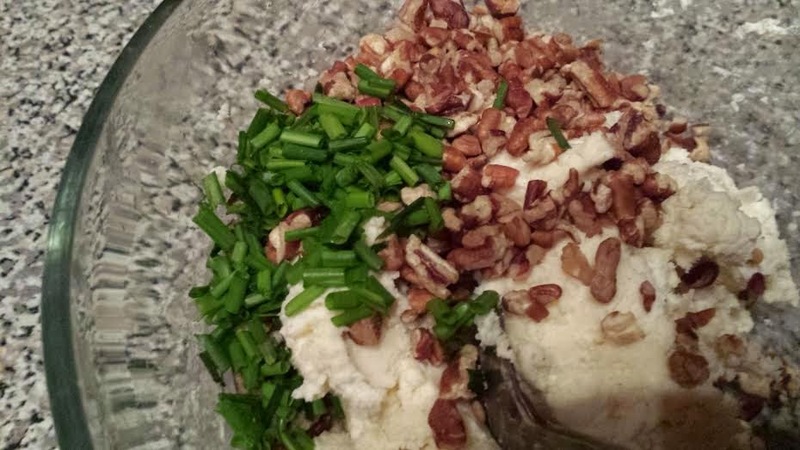 And to that the chives,Wishishere Sauce and nuts. 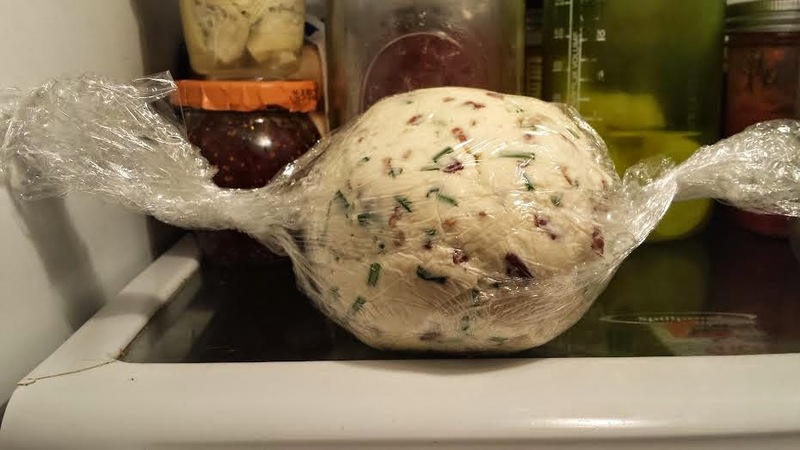 Mix this all well now roll that into a ball and wrap in plastic wrap and chill in the fridge for 1 hour. Once your hour is up unwrap and by hand press in the cranberries.